A large bag of flat sheet moss. 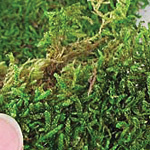 Easy to use in shrines and dioramas as it stays together more than loose moss (and it's a nice "live" green color). Click on either photo to see how much is in one package. 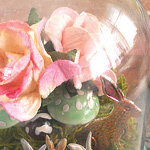 Bunny Dome by Design Team Member Rhea Freitag; other components in Rhea's artwork. 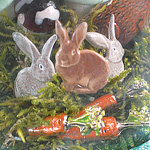 More Easter artwork is in the Gallery.